Our Proactive Model will help your organization in saving your business both time and money. In this competitive world where business operations are very critical and productivity is key factor , it become very important for any organization to plan minimum down time for IT Infrastructure . Instead of waiting for incident to occur, we simply prevent them from happening in the first place. Our preventive maintenance approach and continuous-monitoring support model is proven to eliminate potential hardware/software issues before they happen and cause downtime, saving your business both time and money. 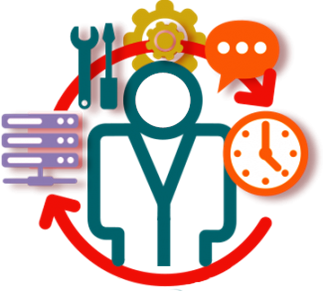 Understand and effectively manage batch workloads. Implement intelligent thresholds and alerts.